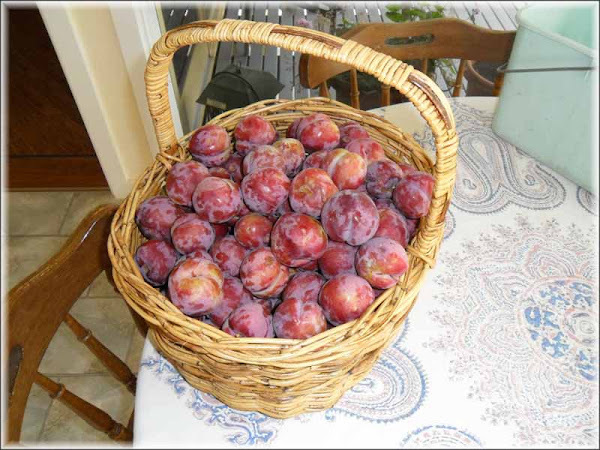 A few years ago our neighbour gave Jan a cutting off his plum tree which she duly planted and nurtured. This year we had an early wet summer so we threw our net over the tree to prevent limit the amount of fruit lost to the birds. We’re not going to be able to eat all of these before they “go off” and we have plenty of plum jam from our picking of the wild plums in the hills behind our house. Jan has decided she will make plum chutney. Should be interesting! Jan has been researching and recording simple cooking recipes for us during our life aboard Waiouru. I consider this a '”dry run”!